Office aesthetics reflect the organization and its culture. It says a lot about the company and contributes to the quality of life and performance of the employees. Usually, the choice of floor covering is one of the most critical aspects in corporate aesthetics as it plays an important role in interior design. Most office spaces go for simple, elegant and logical designs for floor covering that suit all kinds of furniture and creates a smart, reputable working space. 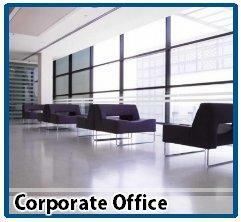 High Performance Solutions, Inc. understands the vitality of choosing the appropriate and durable office floorings. We will help you create a stylish, professional and inspiring working environment with our complete range of flooring products and installation options designed for corporate spaces.